Finding sometimes just the merest moment to slow down enough to become aware of the natural environment can nourish the soul. Time for contemplation surely is a missing ingredient in our busy days but tuning in to the rhythms of wildlife and nature as often as possible could lead to magic that might otherwise go unnoticed. Have your breath taken away by sumptuous, summer colours and occasionally just lean slowly back at the end of the day and watch the sun disappear slowly over the horizon. 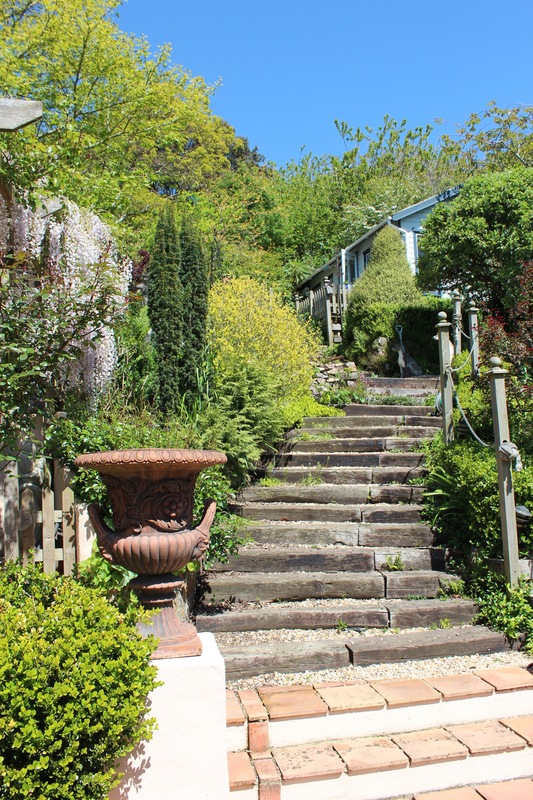 50 steps take me everyday up to my chalet studio perched up on a hillside surrounded by a lush garden, bursting with flowers, vegetables and wildlife. This ever changing space is where I find a lot of inspiration. Look left and within spitting distance is Mont Orgeuil Castle, huge and imposing. Built in 1204 it was once the primary defense of Jersey. Look right to a long sandy beach where I spend time walking, picnicking and just being. Nestled between these two down at our feet is Gorey Harbour where the quayside homes belong to local folk. Small fishing boats, interesting restaurants and great rocks to swim from in summer…what more could a soul need.